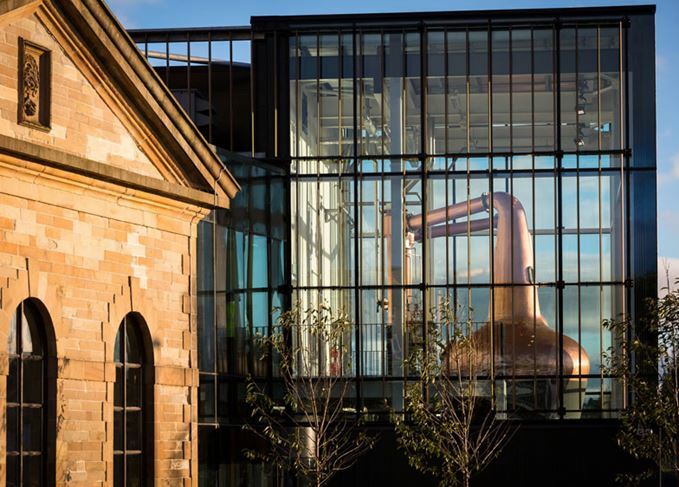 Glasgow’s Clydeside distillery has officially opened to visitors today (23 November), following the production of its first spirit earlier this month. Situated in the old Pump House, which was built in 1877 on the historic Queen’s Dock, Clydeside distillery offers visitors interactive whisky tours, alongside a whisky shop and café. Visitors can make their way through 140 years of history, brought to life through film, pictures and words, as part of self-led or guided tours. The distillery will also be able to accommodate wedding receptions and events in its tasting room. Clydeside began its first distillation run on 6 November, although its whisky won’t be matured and ready for release until at least 2020. The site is able to produce up to 500,000 litres of spirit each year, which has a light and fruity character as designed by the late distilling consultant Dr. Jim Swan. The opening of Clydeside marks the continued rebirth of malt whisky production in the Glasgow area. In 2014 Glasgow distillery at Hillington Business Park became the first malt distillery to operate in the city since the closure of Kinclaith in 1975. Now plans are also developing for a third malt whisky distillery at Pacific Quay, an as yet unnamed project by independent bottler Douglas Laing & Co. The Strathclyde grain distillery also operates in the Gorbals on the banks of the Clyde. Owned by Chivas Brothers, the distillery was opened in 1927. Tim Morrison, chairman of Clydeside owner Morrison Glasgow Distillers, said: ‘Glasgow has an affinity with Scotch whisky unlike any other city in the world with the Queen’s Dock previously witnessing the exports of whisky with ships sailing past the Pump House destined for all continents of the world. Discover more about Clydeside distillery and enquire about a tour. Glasgow’s historic Pump House is being converted into a £10.5m Scotch whisky distillery.